The Library of the Slovak National Gallery was established in 1949 and builds a specialized library collection thematically oriented on the theory and history of fine art, architecture and related fields. For over 15 years, the library offers a reading room for internal as well as external users, as well as reprographic and consulting services. The publications are searchable through online catalogue and card catalogues. 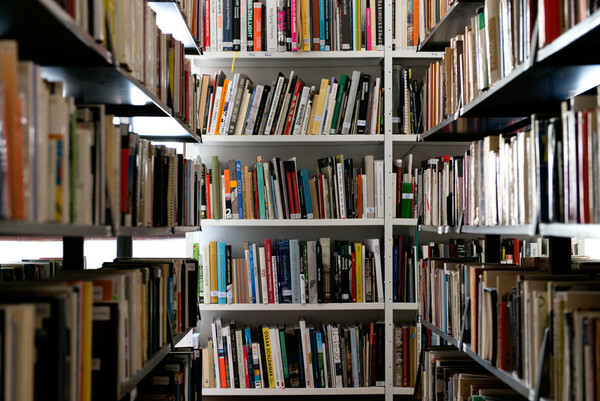 The library currently holds more than 100,000 documents and houses one of the biggest collections of exhibition catalogues in Slovakia. An important activity of the library is the exchange of publications with libraries of museums, galleries and other institutions of artistic focus in Slovakia and abroad. The library works with over 180 exchange partners, even from relatively distant countries such as Japan and Israel. The library also administers historical documents from the library in the Mansion of Strážky. The library currently resides in temporary premises in Hurban Barracks because of the reconstruction of the administrative building of the gallery. Limited space is the reason for smaller reading room and the introduction of reservation system. Rarely used parts of the fund are also currently unavailable (publications with signatures A, E, F, D, and K). Reservation is required for the entrance to the library.